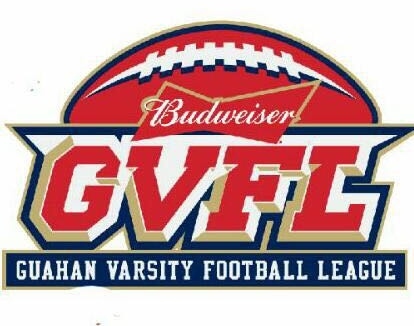 The Guam Varsity Football League returns this weekend as four of the five teams clash at Hal’s Angels Field. An interesting double header will kick off the season with a 6 pm and 8 pm start times. Here’s a quick look at all five teams! With the exception of the departure of QB Daray Davis due to military relocation, the head coach Ryan Wessling will have everyone else on board from last year’s squad. In addition to the offense, long-time stand out and veteran of the former Angels football team QB Steve Phillips III will be joining the defending champs. On the offensive side backfield J.T. Thurman and rookie Sage Garcia will lead the ground attack. Justin Smith and SP3 will be a duo threat when airing it out to receivers Ysu Mendiola, Keith Novak and company. The offensive line will be held down by veteran Jay Flick, AV, Bigfoot and also veteran newcomer Candy Taman. The Outlaws from down south are basically a new team with veteran quarterback in Ben Whitaker. There’s some returning offensive and defensive linemen but overall a fairly new team for head coach Dan Elliott and assistant Bruce Meno. The Outlaws hope to bring along a young team in hopes of putting it all together by the end of the season. Looks like there’s no shortage of subs for the Cowboys this year as they hold a 41-man roster with a little over half of their team being returnees. Returning they have Shawn Dela Cruz at defensive end, Smokee Hughes at QB, Devin Duenas at running back and Adam Lumba and P.J. Flores at linebacker. The team is led by head coach J.P. Taijeron along with his assistants Jess Taimanglo, Dennis Stanley and Earl Cummins. This season you won’t just see a bigger team by the Cowboys, but more competitiveness and determination. Winless last year, wins may still be hard to come by for the Chiefs this year but they’ll probably win the hearts of fashionistas with some snazzy uniforms. Look out for quarterback Daniel Davis, center and captain Robert ‘Tank Driver’ Saturnio and Richard ‘Biggy’ Smalls on the line. The secondary is a strength on the defensive side with Louie ‘The Predator’ Rivera and Steven Flores. Helping out Dowdell on the coaching staff are Rita ‘The Tank’ Flores and Matt Wetz. The Raiders fell short in the championship game last year against the Eagles, but they are still loaded with talent. Leading the defense once again is the ageless ‘Chairman of the Board’ Ryan Rios. He will control the middle with Kellen Kawasaki and a new face to the Raiders organization but not a stranger to the league – Allen ‘Say Owe’ Blend. The big front four are Anselmo “Bo” Untalan, Manny ‘Saipan’ Cruz, Johnny Borja and Don Keraskes will control the line of scrimmage. And if you dare to throw the ball you will have to watch out for their all-star secondary Casey Cruz, Sandy Fejeran, Ryan ‘Biggs’ Bigler and Jesse ‘Pompy’ Manglona. On the offensive side they have MVP Danny Manibusan leading the way once again. Protecting him are Mark Mesngon, Big Mike Taumua, Christian Sablan, Kyle Alvarez and Roke Matanane. In the backfield are Hosea Ware and Hank ‘The Tank’ Sablan and the receiving corp consists of Jacob Torres, Storm Rosario and Spade Untalan. But it doesn’t stop there – new additions to the team are players that can go both way: Branden Burgus, Andy Fernandez, Damon Hocog and Chris Santos. For sure the Raiders are the team to beat (on paper).